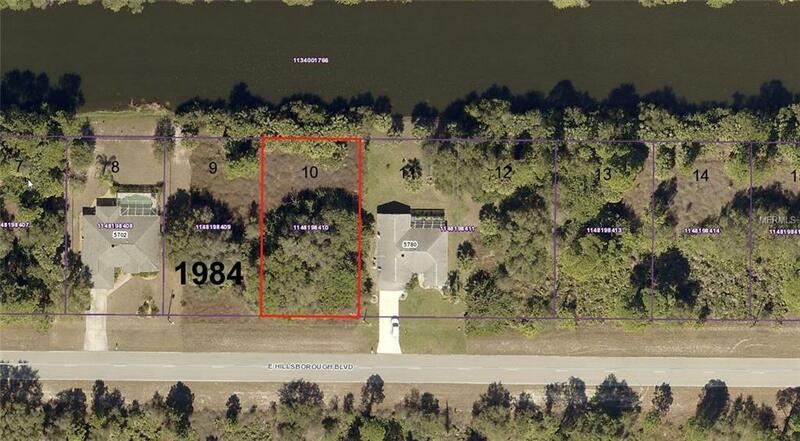 At 11,600 square feet, slightly oversized standard building lot on the Cocoplum Waterway. Bring your row boat and fishing poles to your dream house in sunny Southwest Florida. Close to shopping in Port Charlotte and short distance to shopping in North Port. Short distance to I-75 allowing easy access to Sarasota or Fort Myers for work or shopping. Additional Water Information Not A Power Boat Canal But Great For Row Boats Rafts Fishing. Listing provided courtesy of Realty Concepts, Inc..